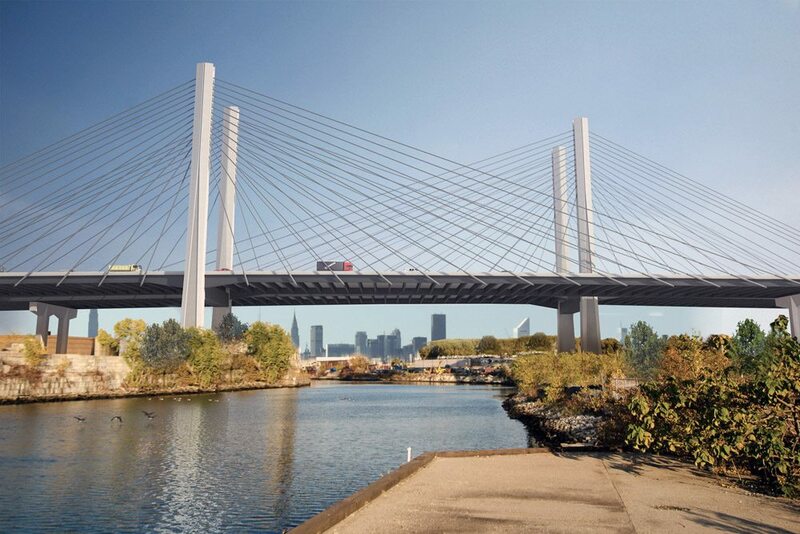 The twin bridge crossing is designed to carry the Brooklyn-Queens Expressway over Newtown Creek, a central New York tributary of the East River. 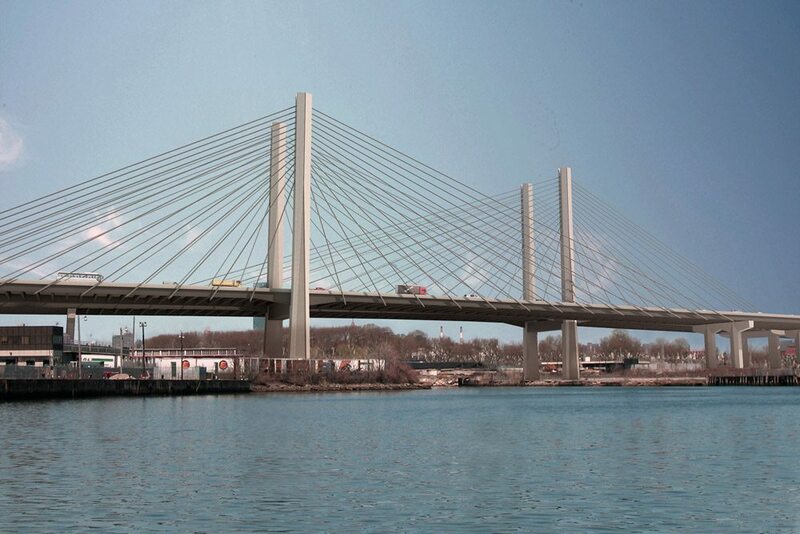 The proposal is a replacement of the existing 1939 steel-truss Kosciuszko Bridge, developed as two independent structures in order to maintain route continuity throughout construction. 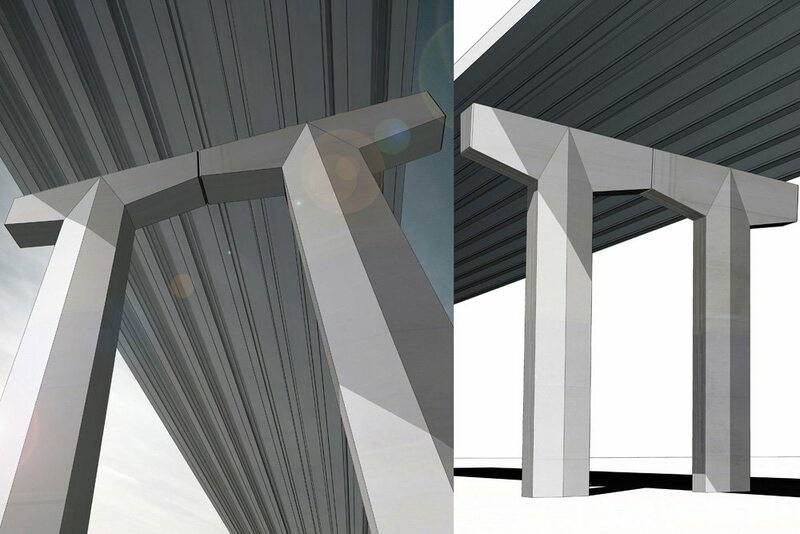 A new eastbound bridge alongside the existing bridge forms a first-phase crossing and a subsequent westbound structure then replaces the historic structure. 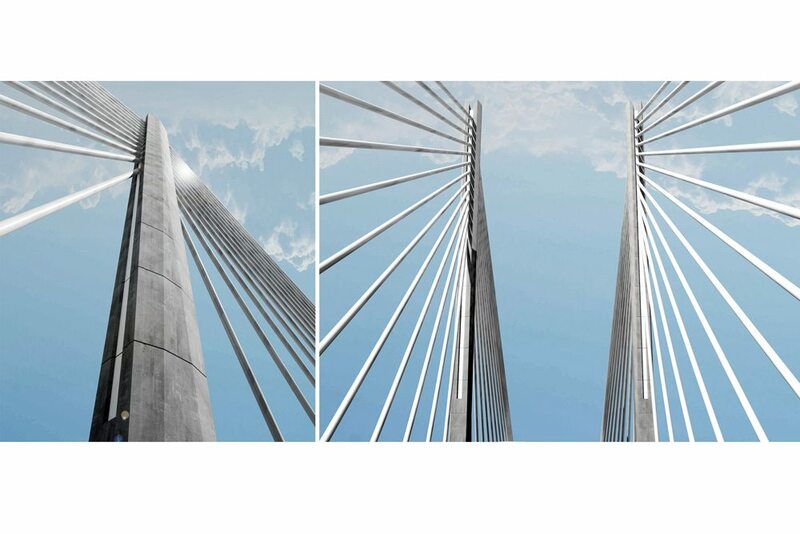 This strategy allowed the design of an unusual structural configuration with two structures featuring identical but handed cable-stay arrangements to create a distinctive cable overlap over the middle third. 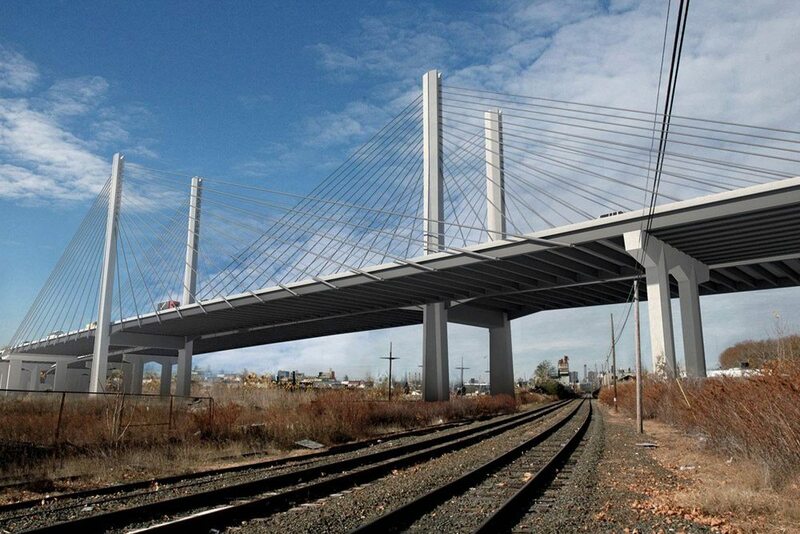 The 1.8 km long project features main spans of 190m.